The independent Geneva-based news journal Jet d’Encre has published an interview reviewing my research profile, carried out with the kind enthusiasm of Miguel Iglesias López and Victor Santos Rodriguez. The interview can be found at the Jet d’Encre website, or below, in English and French. How can research in social sciences make the world a better place? For Jonathan Luke Austin, ideas are not enough. If researchers intend to have a decisive impact, these need to find a material expression. In the context of an ambitious project funded by the Swiss National Science Foundation, the IHEID political sociologist strives to design objects and technologies that would prevent forms of violence as historically stubborn as torture. Miguel Iglesias Lopez and Victor Santos Rodriguez met with this atypical scholar. After finishing your PhD at the Graduate Institute of Geneva, you now lead the Violence Prevention (VIPRE) Initiative. In your thesis, you argue that torture, despite being hidden and secretive, is actually a shared practice across worlds, states, cultures and times, that this horrible doing has a grammar. How does your current VIPRE project continue this research? Jonathan Luke Austin: The two are intimately related. One of the dilemmas that emerged from my earlier research concerned the ways that studying the ‘doing’ of torture at its most local level reveals how a great deal of political violence emerges chaotically, in an improvised manner, and without strict purposefulness. It is often situational, emotional, affective, or environmental factors that lead to an individual becoming violent, factors that they themselves have little control over. In this regard, the grammar of violence that you mentioned was particularly interesting for containing little micro techniques of self-forgetfulness in which individual perpetrators distantiate themselves from the scene of violence – try to forget their own presence – as far as is possible. These are used, mainly, because a majority of perpetrators of torture do not want to torture and find it ethically, sensually, and emotionally extremely distressing. In essence, the grammar of torture I lay out thus reflects Hannah Arendt’s thesis on the banality of evil but takes those insights down to the very moment at which hand meets flesh, and pain is experienced, in order to reconcile it with a general human aversion to harming others. This grammar, moreover, is indeed shared across borders, carried out, say, by US soldiers and North Korean soldiers alike, irrelevant political system or particular circumstance: there is no universal human desire for violence, quite the reverse. And the result of that fact is that perpetrators draw on a global grammar of coping mechanisms, distanciation, and self-forgetfulness to make torture possible. Local Suffering: The North Korean ‘pigeon torture,’ which involves the binding of prisoners in painful constraint positions. The VIPRE Initiative extends this work in two ways. First, it expands the types of violence to be explored beyond torture, so as to now include counterinsurgency tactics, the targeting of civilians, ethnic cleansing, and police violence. Many instances of these violences emerge in similarly ‘non-purposeful’ ways: without planning, thought, or outright desire. Secondly, it develops a new sociologically-grounded approach to prevention designed to combat the insights developed from my earlier research. Specifically, the Initiative seeks to find preventive measures that work to disrupt the aforementioned grammar of violence and, in particular, to make individual soldiers, police officers, or other security professionals more reflexively and rationally aware of the risk they can unintentionally fall into patterns of violent abuse and – moreover – disrupt those ‘avoidance’ or ‘self-forgetfulness’ rituals in order to help ensure that evils like torture cannot be made banal but, rather, that if an individual wishes to carry them out must be conducted with the full sensuousness of the pain they cause being clear to mind. In short, the project seeks to create choice by reducing unthinking slippages into abuse. If an individual consciously wishes to be violently abusive, we cannot stop them. But we can force them to consider that choice in all its emotional, affective, and ethical depth. The goal is to prevent violence, in short, by making it as ‘real’ as it can be. Global Suffering: The US ‘prolonged stress standing position’ torture technique in use at Abu Ghraib, Iraq. Morphologically, the technique is near-identical to that seen in North Korea, above: demonstrating the existing of a global grammar of torture. A basic intuition for your research on reducing violence is what you see as an imbalance between well-developed ideas – human rights, legal norms, etc. – and a lack of objects to support them. In other words, if we want to make the world a better place, we need to find ways to ‘materialise’ this knowledge into actual things. Could you elaborate on this disconnect and the possibilities for change? JLA: Contemporary society is, to a large degree and increasingly, ruled (directly or indirectly) through corporations, governments, and/or related entities that make, capture, or monopolize technological advances. Concerns over the excessive and undemocratic nature of the power wielded by corporations like Facebook or Google reflect this fact: to be able to ‘create’ material things or technological infrastructures in the world is (and has been across human history) at the root of power and change. It is principally for this reason, of course, that states in Europe and North America have wielded such power in the world since the Industrial Revolution and that – nowadays – the power of China is increasing radically. 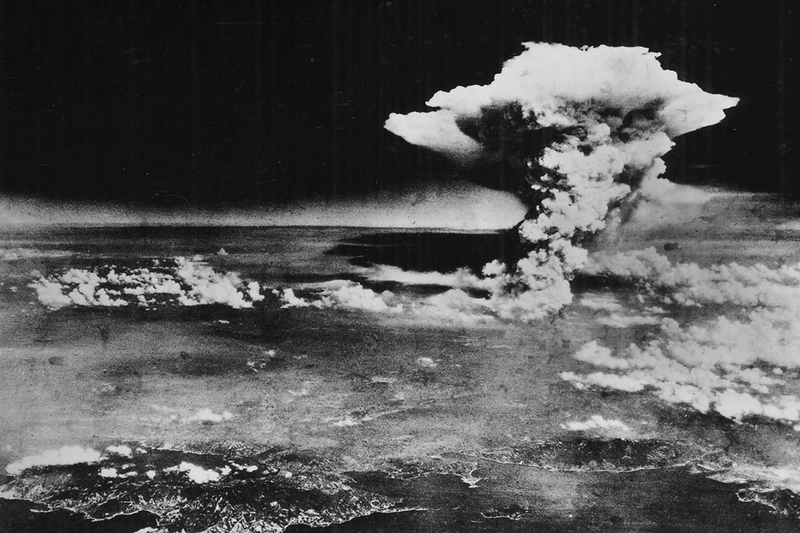 Less generically, the development of nuclear weapons in the mid-20th century reordered international hierarchies based on who possessed or did not possess this technology. Likewise, the development of communications technologies like the Internet has reordered the traditional mediums through which citizens gain information about social, political, and other affairs. The ideas, philosophies, or theories underlying all of these changes did not make such radical change in and of themselves (viz the roots of much contemporary scientific practice in the Islamic ‘Golden Age’, the roots of nuclear technology in the United Kingdom, etc.) in the world until they could be ‘made real’ through the material things that dominate our lives. Technology is Power: The first atomic weapon in use, ushering in a world politically divided by the capacity (or not) to harness this material technology. Surprisingly, this connection between material and technological advancement and the capacity to create change has not yet been very strongly considered within the fields of human rights, humanitarianism, and other forms of socio-political activism. Instead, these efforts to improve the world have remained within a quite archaic understanding of politics as based on (democratic or not) socio-political contestation. The idea here is simple: people change when they are presented with better ideas that are forcefully and persuasively argued for by Others. And this can be true. But not always. Again, torture here is a good example: despite near-universal acknowledgement (no state admits to it) of its ‘wrongness’, it has been practiced over the last decade or so by representatives of near-enough every state. Ultimately, this reliance on the power of ideas over-estimates the capacity of (the leaders of) states and other actors to directly alter their behaviours based on ethical or political argumentation when, in fact, many other non-ideational or non-epistemic factors are ‘forcing their hand’ in specific ways. The result is a reliance on painfully slow forms of incremental change, alongside the risk of ‘back-sliding’ in our progress, and the placing of responsibility for a failure to improve the world on those who rhetorically do not support the extension of these rights, rather than inquiring into whether there is more those who support such an extension can do to achieve that change. The VIPRE Initiative believes that – with imagination – we can find complementary alternatives to this more intellectualist vision of creating change by focusing on the neglected material element of change-making in human rights and/or humanitarianism. This involves re-designing and re-thinking surveillance apparatuses, re-making everyday objects (handcuffs, blindfolds, etc. ), re-building detention facilities, and imagining new forms of training (i.e. via virtual reality or other mediums). To fully understand how material interventions like these can complement the spread of ideas, norms, and values, however, it is useful to make an analogy to a rather more banal domain of life: road traffic safety measures. There exist key norms and prohibitions when driving a vehicle – not to be intoxicated, excessively fatigued, etc. – and known penalties for breaking these norms, extending into imprisonment. However, road-traffic safety measures do not rely solely on these measures. It is well known that despite these prohibitions people will drive while intoxicated, fatigued, etc., and so dangers will emerge in any case, and not necessarily because of deliberate choice. Thus, both vehicles and roads today integrate material measures – beeping seat-belt indicators, rumble-strips on roads, special types of lighting, etc. – which are designed to mitigate risks and dangers without relying on people being ‘good’ and following rules. The challenge, as I see it, is to extend our thinking in this direction vis-à-vis more socially and politically contentious issues, including political violence. 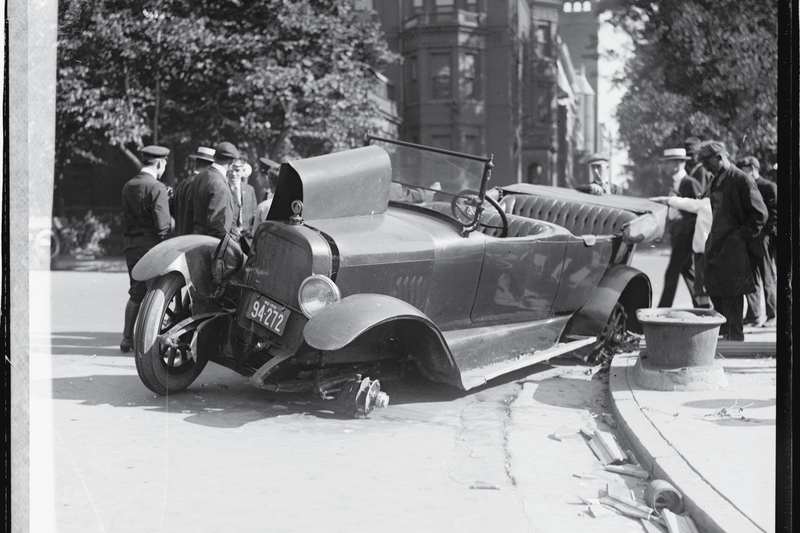 Technology can be Moral: Since the early twentieth century, the risk of road traffic accidents has been mitigated by various material, rather than ideational, measures. Ergonomics, to paraphrase the Merriam-Webster dictionary, is an applied science that seeks to design and arrange things people use so that human and material factors interact efficiently and safely. You currently extend it to the study of international relations, hoping to re-design world political realities. Can you expand on the potential of particular objects for disrupting political dynamics? What are the material constructs you propose? JLA: Ergonomics has a long history. It has been used both to develop more comfortable and healthier chairs, to improve airline safety radically, and to design ‘better’ instruments of torture, ‘better’ instruments of killing (in war or through judicially sanctioned execution) or other rather darker purposes. Rarely, however, has ergonomics been directly applied to improving political phenomena for the better, largely due to that previously discussed disconnect between ideas and materiality when considering political change. However, emerging theories in IR including practice theory, science and technology studies related approaches, and behaviouralism, alongside developments in social theory, philosophy of mind, and beyond, all suggest that the basic tenant of ergonomics – that we can change behaviour though environmental design – has great potential in reordering core world political phenomena. 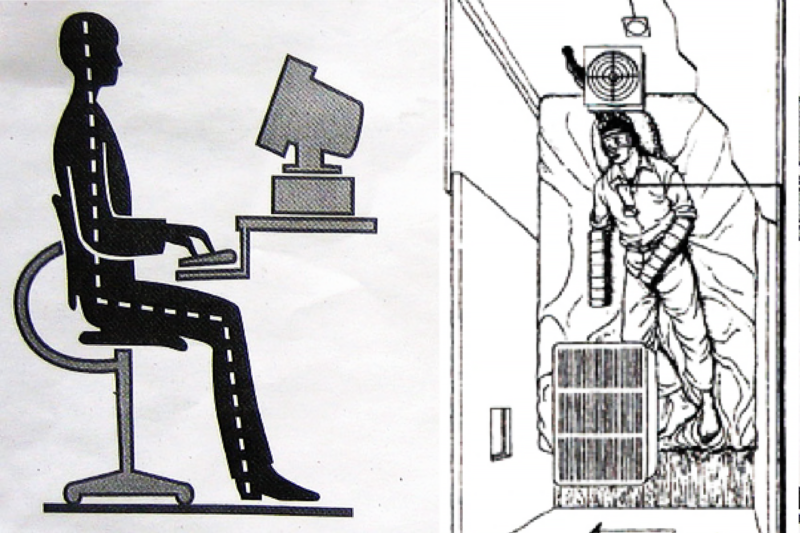 Ergonomic Ambivalence: Ergonomic design has historically been used to produce both healthier and more comfortable human behaviours (left) and to develop more painful and destructive methods of violence, including extreme sensory deprivation chambers (right). Let me give an example. A recent initiative called Horizon State draws on blockchain technology (the basis of crypto-currencies like Bitcoin or Ethereum) to re-design the voting systems at the centre of representative democracies. Specifically, the technology would allow the ‘decentralization’ of electoral systems to a great degree (i.e. moving them away from state-controlled polling booths) and, most importantly, 1) allow individuals to check if their vote has been counted, and 2) allow individuals to themselves check and count all votes cast during an election to verify the result. This technology has the potential to remove the need for strong ‘trusted authorities’ at the centre of present elections – those who manage the process, count the ballots, and release the result. Distrust of these authorities often results in electoral violence and/or undermines the entire democratic system: as we are seeing increasingly across the world. Fundamentally materialistic projects like Horizon State have the potential, then, to strengthen the democratic process substantively, removing opportunities for manipulation or fraud, and returning power to the electorate in ways that might increase trust in the overall system. And they achieve this precisely through the ways they are, in some sense, ergonomically designed to fit but modify existing socio-political realities. Seeing is Power: Surveillance apparatuses serve not only centres of social and political power but are also crucial to democratic, accountable, and stable political systems. The VIPRE Initiative is currently exploring a variety of possible ways in which material objects can be developed that will disrupt negative social and political dynamics that result in violence. The presently most conceptually developed of these objects is known as the Detention Recording Automation Black Box (DRAB), but there are others. The DRAB attempts to increase the surveillance of security practitioners, based on historical evidence that ‘being watched’ reduces instances of violent abuse. For practical reasons, however, surveillance has often not been used in 1) the forward military operations of states and 2) the policing or other security operations of less wealthy states due to a lack of material and human resources. In order to overcome these issues, the VIPRE Initiative is working with engineering schools to design a ‘black box’ surveillance device that can operate autonomously (without human intervention) for approximately two years and automatically identify instances of potential abuse through action-recognition algorithms. The device draws on cutting-edge advances in battery, storage, and image-analysis techniques. It is designed to be cemented or bolted in to any relevant facility and thereafter work independently: providing a kind of ‘flat pack’ humanitarian surveillance system that could be installed across the world. The specific goal of objects like the DRAB does not lie in their specific technical capacities, however. Rather, it rests in the fact that objects like these can prevent ‘slippages’ into abuse by increasing the reflective, conscious, and ultimately moral capacities of human subjects acting in particular settings. The DRAB is designed to remind practitioners of the risks they face under particular operational conditions, to force reflection on that fact, and so demand a very deliberate choice always be made to follow ethical and political norms or to breach them. Infrastructures have been used for ‘good’ and for ‘evil’ in history. How do you prevent a ‘bad’ use of the objects you develop? Specifically, they can be seen as promoting a particular kind of society, and not necessarily a desirable one. The DRAB, for example, participates in making surveillance ‘normal’ in a sense. Its efficacy recalls the disciplining power that Michel Foucault describes in Surveiller et Punir: “He who is subjected to a field of visibility, and who knows it, assumes responsibility for the constraints of power.” In other words, it leads to self-monitoring by people who know they are being watched. This might be useful to reduce violence in particular places, but nothing prevents this form of surveillance from spreading elsewhere. The DRAB can easily be encased in walls in schools, restaurants, offices, streets even. Similarly, another object you mention in one of your articles shares this dual quality. On the one hand, the SanctionsAppprovides specialised knowledge to actors that have limited human and technological capacities. On the other hand, it normalises and de facto facilitates what is, at heart, a political question: purposive sanctions on one state by another. These sanctions often translate into the punishment of whole societies for the ills of its government (Iraq sanctions in the 1990s, economic hardship in Russia…). JLA: This issue of the ‘dual-use’ of technologies is a longstanding one, both practically and philosophically. Debates over the development of nuclear facilities in Iran, for example, are polarized around this fact: almost anything that has an acceptable use can be used for evil. And this fact goes ‘all the way down’ to objects in the rooms around us. Chairs – for example – are one of the most common tools used for torture. 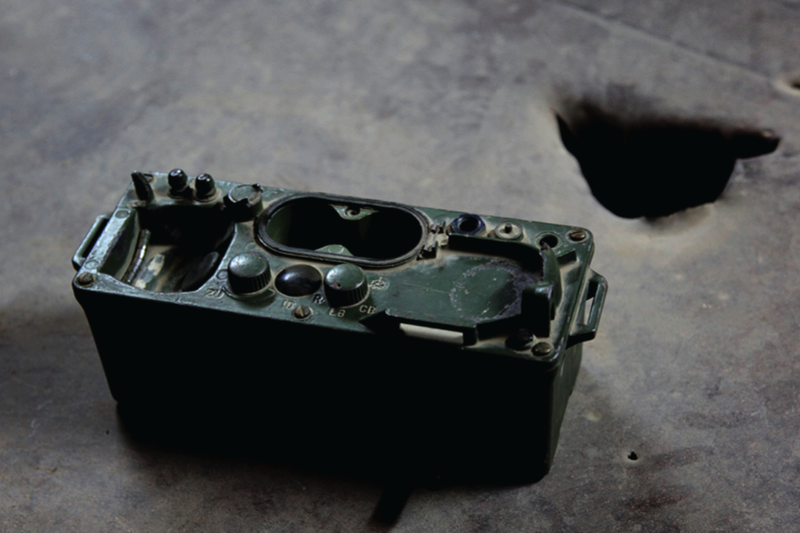 Radios were used to coordinate the Rwandan Genocide. The examples go on. Put simply: it is impossible to be sure to what use any object will be put. There are thus good reasons to be sceptical and cautious about the proposals being laid out as part of the VIPRE Initiative. And we are being cautious. Nonetheless, the urgency of the cause for which we develop these objects means that caution must be balanced with action. The risk of the Foucauldian perspective is a totalizing paralysis, as he himself knew: hence his departure from the theoretical strictures of his intellectual work into active engagement with prison reform efforts. Indeed, to stay with Foucault, what is interesting about the focus of much of the work that has followed Surveiller et Punir is its equation of surveillance as the domain of the gaze of the state upon its citizenry (or, today, the corporation upon its users): surveillance today is usually being theorized as wholly negative. 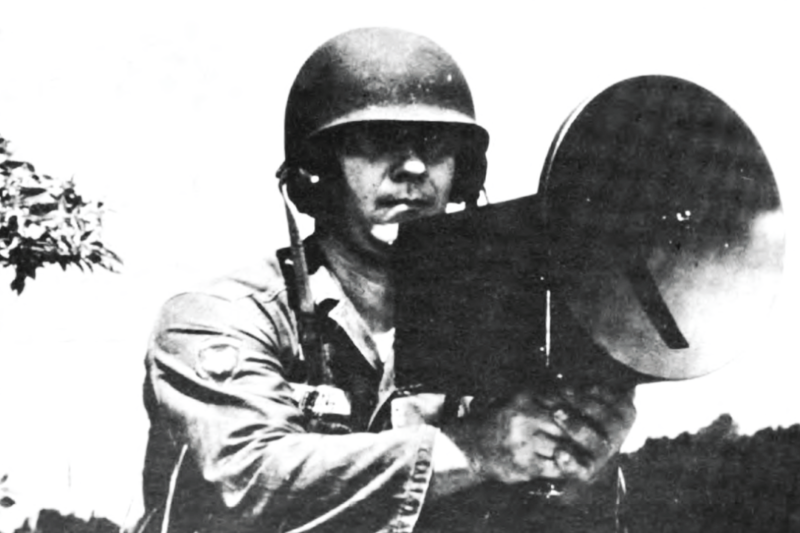 Dual Use: Everyday military field radios, like the above, have a common secondary use: the electrical torture of bodies, from Vietnam to Iraq. But consider democratic institutions, principles, and procedures. The idea that democracy gifts the demos power, precluding arbitrary and despotic systems of power, is built and premised precisely on returning powers of surveillance to the people such that they can actively monitor the activities of those who rule them. Take the architectural design of parliament buildings across the world. These often include public galleries (and debates are sometimes televised) to allow direct monitoring of government activities. Likewise, they always allow the ‘opposition’ to enter into direct and visible debate with those who hold power. These designs are essentially about allowing those who do not hold power to surveille the workings of the state. Hence, one can and should, imagine reversing your Foucauldian quote back upon the state itself: surveilling power itself can constrain that power. Growing unease about the state of democracy today seems to me to partially relate to the ways in which exogenous socio-technical shifts have gifted the State (or other forces) surveillance capacities that democratic procedures cannot counter. The possibility of electronic monitoring, data manipulation through social media, audio-visual propaganda, etc., all gaze upon everyday citizens, rather than back upon the state itself. But current democratic structures were never designed to limit these powers. If one accepts that a fundamental principle of democratic rule is accountability, which can only be achieved through some measure of citizen surveillance of the state, then what might be urgently required in today’s world is a reimagining of the technological as a means through which states, corporations, and other entities can themselves again be put under adequate surveillance, and held to account. The challenge of the day is then to reverse the capacities of surveillance technologies, used to cement political power, back upon those centres of power themselves. The examples here can be small. Take the Brandalism collective (brandalism.ch), which works to intervene “into ad spaces that usually celebrate consumption, Brandalism uses ‘subvertising’ as a lens through which we can view the intersectional social & environmental justice issues that capitalism creates.” One way they achieve this has been by designing and distributing the ‘keys’ necessary to access (and hence change, subvert) advertising billboards across the world: allowing individuals to replace the corporate advertising seen in bus stops, train stations, vending machines, etc., with their own social and political messages. The logic of that initiative is to deliberately ‘co-opt’ material technologies and turn their gaze back upon those who are perceived to use them against the general good. The development of objects like the DRAB also follows this logic: it seeks to surveille those who hold (or serve) power. Of course, and to repeat, there remain great risks in this. But the question becomes: has society reached a point where it wishes to take risks or remain with a status quo in which democracy is weakening? Are we comfortable with the world as it currently turns? Do we want to make a difference? If we are unhappy with society as it stands, then we are compelled to take risks. 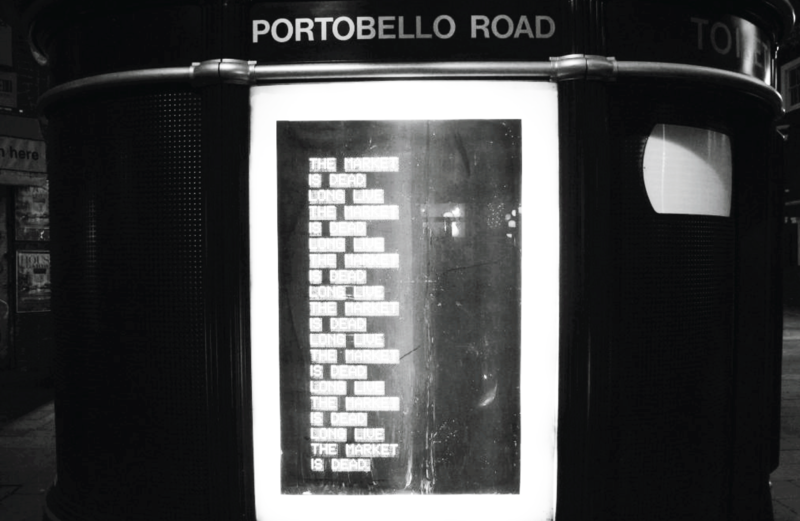 Coopting Gazes: A poster produced and subversively installed in a London bus stop by the Brandalism collective. We would like to go back to your PhD for the last question. In your thesis, you break away from every convention on academic writing and produce a text that is almost poetic, despite the harrowing subject matter of torture. Your title echoes Kandinsky’s Small World paintings, references to literature dot your work. Does this search for aesthetics reflect a deeper personal undertaking? Why, indeed, make your text beautiful? JLA: I don’t see any kind of distinction between style, aesthetics, and writing. All writing has an aesthetic. Personally, I thus prefer – wherever possible – to experiment with writing and to integrate its form as closely as possible into the argument being presented. 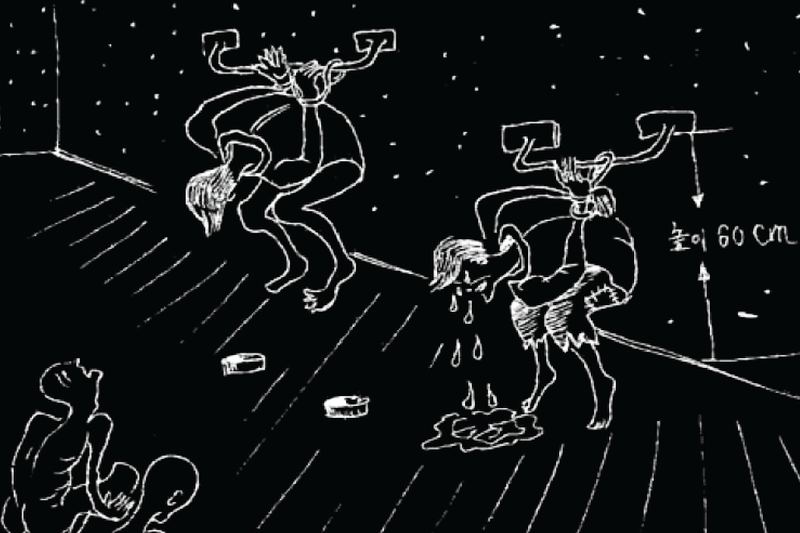 Torture may be a dark subject, but most literature, at its heart, reflects something dark. From the comic, through the romantic and the adventurous, to the tragic: the literature that is prized across cultures is prized because it reflects the complexity of human experience, without doing away with its dark side. 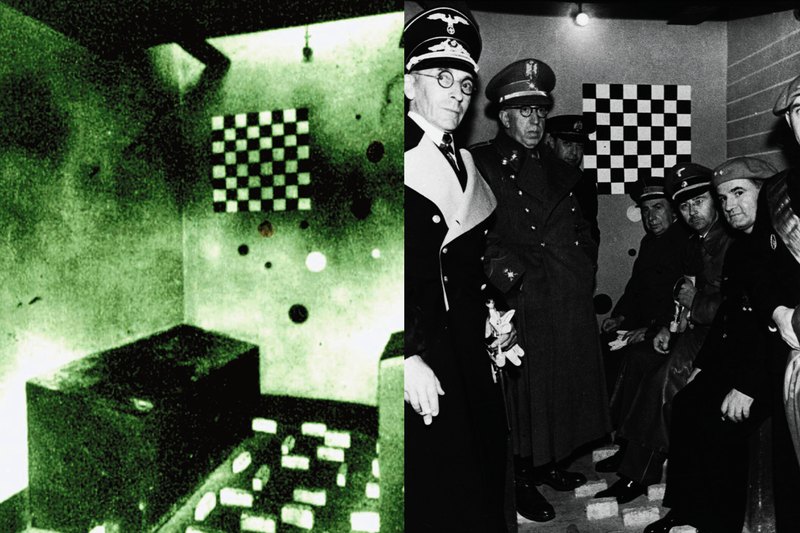 Aesthetic Violence: A Republican prison cell in civil war-era Barcelona, designed by an artist-turned-fighter who appreciated the work of Wassily Kandinsky, and which was visited after the fascist victory by Heinrich Himmler (right). What a sign of the times, when, to cruelly criticize a book, one says that it is only poetry! Poetry comes from the Greek, meaning ‘invention,’ ‘creation’ – so all is well, thank you. Indeed, perhaps what is holding back social scientific endeavours most in contemporary society is their lack of creativity: the belief that there are no more words to be invented, no more new concepts to ponder over, no more ways of laying out our arguments to conceive of. This is most obvious in the demand for ‘clarity’ of expression and employing the simplest modes of communication between writer and reader. In this regard, current academic conventions in writing are deeply influenced by a journalistic Anglo-Saxon style in which scientific inquiry is equivalent to journalistic ‘investigation’ and the task of ‘writing up’ our ‘results’ is equivalent to the fact-based writing up of reports of the journalism of prominent media outlets. And this need not be a bad thing. The prosaic (journalistic or fictional) writings of Orwell, Hemmingway, etc. are beautiful. The difficulty becomes when influences like these become a set of fixed standards that are assumed to convey ‘clarity’ more than any other style. Indeed, ‘clarity’ is not an uncontested notion. And, in fact, it seems clear to me that current academic conventions of writing might actually be working to make certain arguments less clear. How, for example, can it be possible to express the deep meaning structures of, say, radical Islamist movements without appreciating that it is the affective structure of the Quranic texts, Islamic rituals, cultures of community building, and beyond that underlie much of the force of this contemporary movement? A deep and – indeed – clearer understanding of phenomena like this cannot be expressed within a linguistic form that refuses an engagement with the aesthetic, affective, and creative. Why? Because such a linguistic form simply cannot communicate the phenomenon that it is referring to. 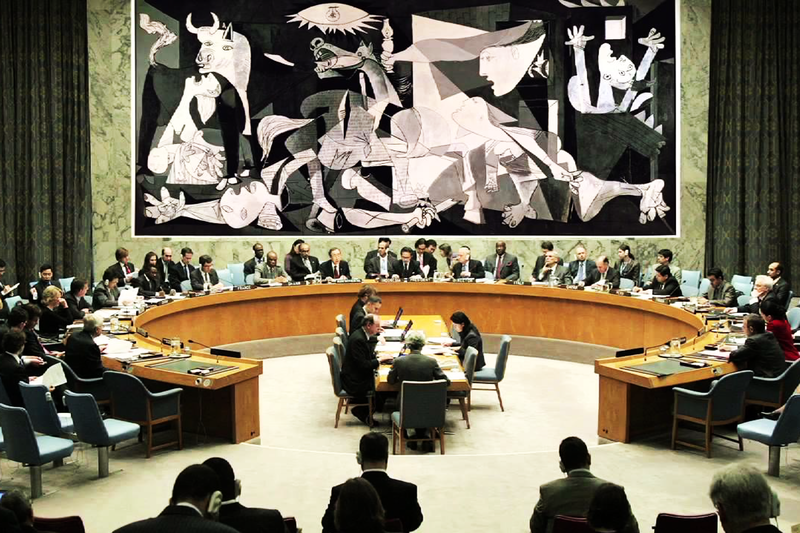 Aesthetic Consciousnesses: A replica of another relic of the Spanish Civil War, Pablo Piccaso’s Guernica, is hung outside the entrance to the United Nations Security Council in New York, to remind of the costs of violence. Ultimately, the urge to achieve ‘clarity’ through short sentences, the abandoning of adjectives, and bluntly concise prose relates to a desire to escape language. There is an unfortunate trend in Anglo-Saxon social sciences (and the influence they have) to view the ambiguities and constructed nature of language as an obstacle to scientific progress. It is thus that formal mathematical procedures, statistical methods, and related tools are colonizing the humanities under the (naïve) belief that these languages of expression are clearer than the linguistic. Again, however, this is not a criticism of the use of mathematics, statistics, or formal models. I myself would use all of these tools, where appropriate. My criticism is only of the colonizing tendency of these approaches and their inability to see their own limits and hence the dangers of imprisoning scientific work within a singular mode of expression. Indeed, to step outside the internal concerns of science, contemporary world conditions – I think – only make it more evident how a search for new languages and styles of expression is required today. Across history, the development of new ways of expressing ourselves has been the source of great human advancement and mutual understanding across borders (real or imagined). If one wishes a deeper understanding of what is wrong with the world today – inequality, environmental degradation, inter-cultural hostility, the plague of violence, etc. – then we need to recover diverse modes of communicating in the world. Indeed, the decline of (linguistic or otherwise) creativity within the culturally-dominant ‘Anglosphere’ will perhaps at some point, if it not already has, contribute to its shrinking global influence. We already see indications of this in the self-mutilations afflicted by the United Kingdom and the United States upon their own polities. There is a lack of imagination in the world and one of the most effective ways to recover imagination is through the fundamental tool of human being in the world: language. Lecture at the Centre for Advanced Security Studies (CAST), the University of Copenhagen, by Jonathan Luke Austin. Comment les sciences sociales peuvent-elles rendre le monde meilleur ? Pour Jonathan Luke Austin, il ne faut pas s’arrêter aux idées. Si les chercheurs entendent avoir un impact décisif, ces dernières doivent trouver une expression matérielle. Dans le cadre d’un projet ambitieux financé par le Fonds national suisse de la recherche scientifique, le sociologue politique de l’IHEID cherche ainsi à développer des objets et des technologies qui permettraient d’enrayer des formes de violence aussi historiquement obstinées que la torture. Miguel Iglesias Lopez et Victor Santos Rodriguez ont rencontré, pour la 700e publication de Jet d’Encre, cet universitaire atypique. Vous venez d’achever votre doctorat à l’Institut de hautes études internationales et du développement à Genève (IHEID), et vous dirigez désormais le projet de recherche « Violence Prevention Initiative » (VIPRE). Votre thèse de doctorat défend que la torture, bien que cachée et secrète, est en fait une pratique partagée à travers l’espace et le temps, dans différents Etats et dans différentes cultures. Vous affirmez, en somme, que cette horrible pratique revêt une grammaire. De quelle manière votre projet VIPRE poursuit-il cette enquête ? Jonathan Luke Austin : Le VIPRE et ma thèse sont intimement liés. Un des questionnements dans ma recherche antérieure est l’aspect chaotique, improvisé, sans véritable libre-arbitre, d’une grande part de la violence politique ; des caractéristiques frappantes dans l’étude de la « pratique » de la torture à son niveau le plus microscopique. Ce sont souvent des facteurs situationnels, émotionnels, affectifs ou contextuels qui vont amener un individu à la violence, des facteurs sur lesquels il n’a lui-même qu’un contrôle limité. Vous mentionnez la grammaire commune de la violence. Celle-ci est très intéressante à cet égard car elle contient des micro-techniques d’« oubli de soi ». Ces techniques permettent aux tortionnaires de se distancier autant que possible de la scène de violence – d’oublier leur propre présence – car une majorité d’entre eux ne veulent en fait pas torturer. Ils ressentent un profond malaise éthique, sensuel et émotionnel. En substance, la grammaire de la torture que je présente reflète la banalité du mal de Hannah Arendt, mais l’applique au point précis où la main touche la chair, où se fait l’expérience de la douleur, afin de la réconcilier avec l’aversion humaine à blesser les autres. De plus, cette grammaire est, comme vous le soulignez, partagée par-delà les frontières, mise en œuvre par des soldats américains aussi bien que nord-coréens, indépendamment des systèmes politiques ou des circonstances particulières. Il n’y a guère de désir humain de violence, bien au contraire. La torture est alors rendue possible, malgré cette aversion universelle, par cette grammaire globale composée de mécanismes de survie, de distanciation et d’« oubli de soi » sur laquelle les tortionnaires peuvent s’appuyer. Le projet VIPRE poursuit cette recherche de deux manières. Premièrement, le type de violence étudié va ici au-delà de la torture et inclut désormais les tactiques de contre-insurrection, les attaques ciblant les civils, le nettoyage ethnique et la violence policière. Dans beaucoup de cas, ces violences émergent également de manière « non-intentionnelle » : sans planification, réflexion ou désir explicite. Deuxièmement, nous développons une approche sociologique de prévention afin de combattre les mécanismes identifiés dans ma recherche précédente. Plus spécifiquement, nous cherchons des mesures préventives pour désarticuler cette grammaire de la violence. Nous voulons rendre les soldats, les officiers de police et d’autres professionnels de la sécurité plus réflexifs et conscients des risques de glissements non-intentionnels dans l’engrenage de la violence. En outre, nous cherchons à enrouer ces rituels d’évitement ou d’« oubli de soi » afin d’empêcher que des maux tels que la torture ne deviennent banals pour ceux qui les infligent mais soient, au contraire, ressentis sensuellement, lucidement, dans toute la peine qu’ils causent, par ceux qui sont enclins à les perpétrer. En bref, le projet vise à créer du choix en réduisant les possibilités de dérapage inconscient vers la violence. Si un individu souhaite consciemment brutaliser autrui, nous ne pouvons pas l’arrêter. Mais nous suggérons ici qu’il est possible de le forcer à envisager ce choix dans toute sa profondeur émotionnelle, affective et éthique. L’objectif, en somme, est d’entraver la violence en rendant son usage aussi « réel » que possible. L’intuition fondamentale de votre recherche sur la réduction de la violence est qu’il y a un déséquilibre entre des idées bien développées – droits humains, normes légales, etc. – et un manque d’objets à même de les soutenir. En d’autres termes, si nous voulons rendre le monde meilleur, nous devons « matérialiser » cette connaissance. Pouvez-vous expliquer ce décalage ? Quels moyens proposez-vous pour combler un tel fossé ? JLA : Dans une large mesure, et de manière croissante, la société contemporaine est directement ou indirectement dirigée par ces entreprises, gouvernements ou entités apparentées qui sont capables de créer, saisir ou monopoliser les avancées technologiques. Les inquiétudes sur le pouvoir excessif et non-démocratique détenu par des multinationales telles que Facebook ou Google reflètent ce fait : la capacité de « créer » des choses matérielles ou des infrastructures technologiques est – et a toujours été dans l’histoire humaine – à l’origine du pouvoir et des changements. C’est bien sûr principalement pour cette raison que les Etats d’Europe et d’Amérique du Nord ont pu détenir un tel pouvoir dans le monde depuis la révolution industrielle, et que de nos jours le pouvoir de la Chine augmente radicalement. La hiérarchie internationale s’est par exemple réorganisée suite au développement des armes nucléaires au milieu du 20ème siècle suivant la possession ou non de l’arme. De même, le développement des technologies de communication telles qu’internet a réorganisé les moyens traditionnels par lesquels les citoyens s’informaient des affaires sociales, politiques et autres. Les idées, philosophies ou théories sous-tendant ces changements (pensez aux origines de la pratique scientifique contemporaine dans l’Islam de l’âge d’or ou aux bases de la technologie nucléaire au Royaume-Uni) n’ont radicalement changé le statu quo qu’à partir du moment où elles ont été « rendues réelles » par ces choses matérielles qui dominent nos vies. De manière surprenante, cette relation entre les avancées matérielles et technologiques et la capacité à susciter le changement n’a pas été examinée en détail dans les domaines des droits humains, de l’humanitaire ou des autres formes d’activisme socio-politique. Ces efforts traditionnels d’amélioration du monde en sont plutôt restés à une vision politique assez archaïque, fondée sur la contestation socio-politique, démocratique ou non. L’idée est simple : les gens changent lorsque de meilleures idées leur sont présentées et sont défendues avec vigueur par d’autres. Ceci peut être vrai, mais ne l’est pas toujours. À nouveau, la torture est un bon exemple : malgré le consensus pratiquement universel autour de son immoralité (aucun Etat n’admet sa pratique), à peu près tous les Etats s’en sont rendus coupables au cours de la dernière décennie. Au final, la foi en la puissance des idées surestime le pouvoir des (dirigeants des) Etats et d’autres acteurs à modifier leur comportement sur la base d’arguments éthiques ou politiques. Ils sont, en fait, forcés d’agir de façons spécifiques par beaucoup d’autres facteurs que leurs seules idées. Le résultat de ce mode de pensée est un modèle de changement très graduel, douloureusement lent et prompt à régresser, ainsi qu’une culpabilisation continue de ceux qui ne soutiennent pas rhétoriquement l’extension des droits plutôt qu’une recherche de meilleures manières de parvenir au changement souhaité. Le projet VIPRE table sur la possibilité de trouver – avec une certaine dose d’imagination – des alternatives complémentaires à cette vision intellectualiste du changement en s’intéressant précisément à ces éléments matériels négligés par les droits humains et/ou l’humanitaire. Cela implique de repenser les systèmes de surveillance, remodeler des objets courants tels que les menottes, reconstruire les centres de détention et imaginer de nouveaux types de formation (via la réalité virtuelle ou d’autres moyens). Pour comprendre comment des interventions matérielles de ce type peuvent venir compléter les idées, les normes et les valeurs, l’analogie avec un domaine plus banal de la vie est utile : les mesures de prévention routière. Il y a, bien évidemment, toute une série de lois et d’interdictions qui s’appliquent à la conduite – ne pas être en état d’ébriété, dans un état de fatigue avancé, etc. – ainsi que des punitions pour ceux qui les enfreignent, y compris la prison. Toutefois, la sécurité routière ne s’arrête pas à ces mesures. Loin s’en faut. Tout le monde sait que, malgré les interdits, les gens vont quand même conduire ivres ou fatigués et que des dangers surgissent de toute façon, suite à des choix conscients ou non. Ainsi, les voitures et les routes sont aujourd’hui équipées de toute une batterie de mesures matérielles qui minimisent les risques et les dangers sans pour autant compter sur la bonne volonté et l’obéissance aux règles : l’avertissement sonore lorsque la ceinture n’est pas bouclée, les stries sur le bord des autoroutes, des types d’éclairage adaptés, etc. Le défi, tel que je le conçois, est de mener une réflexion de cette nature vis-à-vis de problèmes sociaux et politiques plus contentieux, y compris, donc, la violence politique. Si l’on reprend la définition du Merriam-Webster, l’ergonomie est une science appliquée qui cherche à améliorer la conception d’objets afin de rendre l’interaction entre facteurs humains et matériels efficace et sans risques. Vous essayez actuellement d’en étendre l’étude aux relations internationales afin de refonder les réalités politiques globales. Pouvez-vous nous en dire plus sur le potentiel disruptif de certains objets sur les dynamiques politiques ? Quelles sont les constructions matérielles que vous envisagez ? JLA : L’ergonomie a une longue histoire. Cette science a amené des chaises plus confortables et meilleures pour le dos, elle a augmenté radicalement la sûreté des voyages en avion. Dans le même temps, elle a créé de « meilleurs » instruments de torture, de « meilleures » machines à tuer (en guerre ou pour les exécutions judiciaires légales) et a participé à d’autres entreprises plus « sombres ». Rarement, pourtant, a-t-elle été utilisée pour améliorer les phénomènes politiques, en grande partie à cause de cette déconnexion entre les idées et la matérialité dont nous parlions plus haut. Toutefois, des théories émergentes dans les relations internationales (RI), y compris les théories des pratiques, des approches liées aux études portant sur la science et la technologie, le béhaviorisme, la théorie sociale, la philosophie de la pensée et d’autres, suggèrent que l’intuition fondamentale de l’ergonomie – le comportement peut être amélioré en modifiant l’environnement – revêt un grand potentiel pour réorganiser les phénomènes politiques mondiaux clés. Laissez-moi vous donner un exemple. Une initiative récente appelée Horizon Stateutilise la technologie blockchain (à la base des crypto-monnaies Bitcoin ou Ethereum) pour repenser les systèmes de vote des démocraties représentatives. Une telle technologie permettrait une décentralisation poussée des systèmes électoraux (rendant obsolètes les centres de vote contrôlés par l’Etat par exemple). Surtout, elle permettrait aux individus de 1) s’assurer par eux-mêmes que leur vote a été comptabilisé et 2) vérifier et recompter tous les votes déposés lors d’une élection pour en confirmer le résultat. Cette technologie peut potentiellement remplacer les institutions au centre des élections contemporaines – celles qui gèrent le processus électoral, comptent les votes et rendent les résultats publics. Comme on peut le voir de plus en plus à travers le monde, la suspicion envers ces autorités engendre régulièrement des violences électorales et/ou dégrade le système démocratique dans son ensemble. Des projets fondamentalement « matériels » tels que Horizon Statepeuvent donc renforcer substantiellement le processus démocratique en éliminant les opportunités de manipulation ou de fraude et en rendant le pouvoir à l’électorat, et ce, d’une manière qui peut augmenter la confiance dans l’ensemble du système. Ces projets sont en quelque sorte conçus ergonomiquement pour s’adapter aux réalités socio-politiques tout en les modifiant. L’initiative VIPRE explore actuellement différentes façons de développer des objets matériels afin de modifier les dynamiques sociales et politiques qui mènent à la violence. Pour l’instant, l’objet le plus avancé conceptuellement est la boîte noire d’enregistrement automatique en détention (DRAB en anglais – Detention Recording Automation Black Box). La DRAB cherche à augmenter la surveillance des professionnels de la sécurité. Le fait d’être observé a historiquement mené à une diminution des abus violents de leur part, mais, pour des raisons pratiques et de manque de moyens matériels et humains, la surveillance est souvent limitée 1) dans les opérations militaires lointaines et 2) lors d’opérations de police ou de sécurité au sein des Etats moins riches. Afin de surmonter ces obstacles, l’initiative VIPRE travaille avec des écoles d’ingénierie pour créer une boîte noire de surveillance qui pourra fonctionner de manière autonome (sans intervention humaine) pendant environ deux ans et qui reconnaîtra les cas d’abus potentiel grâce à des algorithmes de reconnaissance des comportements. L’instrument combine des avancées de pointe dans les techniques d’analyse d’image, de sauvegarde de données et de durée de vie des batteries. Il est conçu pour être vissé ou incrusté dans le ciment des bâtiments concernés et pour fonctionner ensuite de façon autonome. La boîte fournirait ainsi un système de surveillance humanitaire « clé en mains » apte à être installé n’importe où dans le monde. Ce qui importe avec la DRAB et d’autres objets ayant cette vocation transformative n’est au fond pas tant les capacités techniques en soi, mais le fait qu’elles permettent d’empêcher les dérives violentes en augmentant les capacités réflexives, conscientes et in fine morales des humains dans des situations particulières. La DRAB est conçue pour rappeler aux professionnels de la sécurité le risque de dérapages violents induits par leurs pratiques dans certaines situations. Il s’agit de les forcer à y réfléchir. Ils doivent faire un choix délibéré entre respecter les normes éthiques et politiques ou les enfreindre. Historiquement, les fabrications matérielles ont pu servir aussi bien pour le « bien » que pour le « mal ». Comment empêchez-vous un usage néfaste des objets que vous développez ? Ces objets peuvent en effet être porteurs de projets de société spécifiques, pas nécessairement désirables. A certains égards, la DRAB par exemple participe à la normalisation de la surveillance. Son efficacité rappelle le pouvoir disciplinaire que Michel Foucault décrit dans Surveiller et Punir : « Celui qui est soumis à un champ de visibilité, et qui le sait, reprend à son compte les contraintes du pouvoir ». En d’autres termes, la présence de cette boîte noire engendre l’auto-surveillance de ceux qui savent qu’ils sont observés. Ceci peut être utile pour réduire la violence en certains lieux, mais rien n’empêche que cette forme de surveillance s’étende ailleurs. La DRAB peut être encastrée dans les murs des écoles, des restaurants, des bureaux, même des rues. De même, un autre objet dont vous parlez dans un de vos articles, la SanctionsApp, a un caractère ambivalent. D’un côté, celle-ci met des connaissances spécialisées à la portée d’acteurs aux moyens humains et technologiques limités, mais de l’autre elle participe à la normalisation de ce qui est une question intrinsèquement politique : les sanctions infligées à un État par un autre. Ces sanctions deviennent souvent des punitions imposées à des sociétés entières par la faute de leur gouvernement (les sanctions contre l’Irak dans les années nonante, les difficultés économiques récentes en Russie…). JLA : Ce problème du double usage de technologies n’est, pratiquement et philosophiquement parlant, pas nouveau. Les débats sur les infrastructures nucléaires iraniennes, par exemple, sont polarisés autour de ce fait : presque tout ce qui a un usage acceptable peut aussi être utilisé pour faire le mal. Cela vaut à tous les niveaux, jusqu’aux objets qui nous entourent. Les chaises, par exemple, sont parmi les outils de torture les plus prisés, et la radio fut cruciale pour coordonner le génocide rwandais. Les exemples sont sans fin. Dit simplement : il est impossible de savoir à l’avance comment les objets seront utilisés. Il y a donc de bonnes raisons d’être sceptique et prudent vis-à-vis des propositions du VIPRE. Et nous sommes prudents. Toutefois, l’urgence de la cause pour laquelle nous développons ces objets signifie qu’il nous faut mettre en balance cette prudence et la nécessité d’action, car le risque de la perspective foucaldienne est la paralysie complète. Foucault le savait d’ailleurs lui-même, d’où son engagement actif en faveur des réformes de la prison au-delà de son travail théorique sur le sujet. Pour continuer avec Foucault, ce qui est intéressant avec les travaux de recherche qui ont suivi Surveiller et Punir est leur vision de la surveillance en tant que regard omniscient porté par l’Etat sur ses citoyens (ou, aujourd’hui, celui des entreprises sur ses clients) : la surveillance est aujourd’hui théorisée de manière entièrement négative. Prenez pourtant les institutions démocratiques, leurs principes et leurs procédures. L’idée que la démocratie donne le pouvoir au peuple et empêche les systèmes de pouvoir despotiques et arbitraires repose précisément sur la restitution des pouvoirs de surveillance aux citoyens, de façon qu’ils puissent contrôler les activités de ceux qui les gouvernent. Pensez à l’architecture des parlements autour du globe. Ces bâtiments contiennent souvent des tribunes publiques (et les débats sont eux-mêmes parfois télévisés) afin de permettre un tel contrôle ; de même, ils permettent à « l’opposition » de débattre de manière directe et visible avec ceux qui détiennent le pouvoir. Ces particularités constituent fondamentalement un moyen de permettre à ceux qui n’ont pas le pouvoir d’en surveiller l’exercice. Ainsi, l’on peut et devrait inverser votre citation de Foucault et la porter sur l’État lui-même : surveiller le pouvoir peut le contraindre. Le malaise grandissant sur l’état de nos démocraties aujourd’hui est me semble-t-il en partie lié à des changements socio-techniques qui ont offert aux États (ou à d’autres forces) des capacités de surveillance qui ne sont point contrôlables par les procédures démocratiques. Les possibilités d’espionnage électronique, de manipulation des données par les réseaux sociaux, de propagande audio-visuelle et j’en passe sont toutes dirigées vers le citoyen lambda plutôt que l’État lui-même. Or les structures démocratiques actuelles n’ont jamais été conçues pour limiter ce genre de pouvoir. Si l’on accepte la responsabilité de l’État envers les citoyens comme un principe fondamental des systèmes démocratiques, principe qui ne peut être atteint sans un certain contrôle de l’État par les citoyens, alors ce qui est peut-être urgemment nécessaire aujourd’hui est d’imaginer la technologie comme un moyen grâce auquel les États, les multinationales et autres peuvent être à nouveau tenus de rendre des comptes et contrôlés efficacement. Le défi aujourd’hui, donc, est de renverser la fonction des capacités de surveillance technologiques : elles doivent servir moins à consolider le pouvoir politique qu’à tenir en respect les centres de pouvoir eux-mêmes. Les exemples ici peuvent être simples. Prenez le collectif brandalism (brandalism.ch), lequel cherche à intervenir « dans l’espace publicitaire, qui encourage habituellement la consommation » : « le brandalism emploie le détournement publicitaire (subvertising) comme manière de mettre en lumière les problèmes intersectionnels de justice sociale et environnementale produits par le capitalisme ». Un moyen de créer les conditions du changement et de la subversion a été de distribuer les clés d’accès aux panneaux publicitaires autour du globe pour permettre aux citoyens de remplacer la publicité commerciale des arrêts de bus et de gare, des distributeurs automatiques, etc., par leurs propres messages sociaux et politiques. La logique derrière cette démarche est de coopter ces technologies matérielles et de les diriger contre ceux qui les utilisent au détriment du bien commun. Le développement d’objets tels que la DRAB suit cette logique et tente de surveiller ceux qui exercent ou servent le pouvoir. Bien sûr, il faut garder les risques du projet à l’esprit. Mais la question change : est-ce que la société est à un point où il convient de prendre des risques, ou faut-il plutôt en rester à une situation dans laquelle la démocratie s’effrite ? Sommes-nous satisfaits du tour que les choses prennent actuellement ? Voulons-nous faire une différence ? Je pense, pour ma part, que nous sommes obligés de prendre des risques. Pour la dernière question, nous souhaiterions revenir à votre doctorat. Dans votre thèse, vous vous détachez d’à peu près toutes les conventions stylistiques académiques pour produire un texte qui, malgré son sujet horrifiant, la torture, en devient presque poétique. Votre titre, par exemple, évoque les peintures de Kandinsky (Small Worlds, « Petits Mondes »), et votre travail est parsemé de références littéraires. Cette quête esthétique est-elle un projet personnel ? Pourquoi cherchez-vous à rendre votre texte beau ? JLA : Je ne vois guère de distinction entre style, esthétique et écriture. Tout texte écrit comporte une certaine esthétique. Personnellement, je préfère, là où c’est possible, expérimenter dans l’écriture et intégrer la forme au fond. La torture est un sujet sombre, mais la littérature exprime souvent elle-même quelque chose de sombre. De la comédie à l’aventure, du romantique au tragique, la littérature est célébrée à travers les cultures parce qu’elle reflète la complexité du genre humain sans l’amputer de son côté obscur. Quel signe de notre temps, donc, qu’aux fins de critiquer cruellement un livre, on en dise que ce n’est que de la poésie ! « Poésie » vient du grec et signifie « invention », « création » – donc tout va bien, merci. C’est peut-être précisément ce manque de créativité qui limite le plus les sciences sociales dans notre société contemporaine ; cette conviction qu’il n’y aurait plus de mots à inventer, ni de nouveaux concepts à débattre, qu’on ne peut concevoir d’autres manières d’argumenter. On le voit dans cette demande répétée de « clarté » dans l’expression, l’exigence du mode d’expression le plus simple possible entre un auteur et son lecteur. Les conventions académiques sont à cet égard profondément influencées par un style journalistique anglo-saxon qui voit dans l’étude scientifique l’équivalent du journalisme d’investigation et dans la tâche d’écrire les « résultats » scientifiques un procédé similaire aux comptes-rendus factuels des médias réputés. Ce n’est pas nécessairement une tare – la prose sobre d’Orwell, d’Hemingway ou d’autres est belle. Les problèmes commencent lorsque ces modèles deviennent un standard figé, un style censé être plus clair que les autres. Or la « clarté » d’un propos est loin d’être une affaire claire, justement. En fait, il me paraît clair que les conventions académiques actuelles rendent certains arguments moins clairs. Comment peut-on espérer restituer le sens profond qui anime les mouvances radicales islamistes sans comprendre la structure affective des textes coraniques, des rituels islamiques, le sens de communauté qui donnent à ces mouvances contemporaines une grande part de leur force ? Une compréhension profonde et effectivement claire de tels phénomènes ne peut être exprimée par une pratique langagière qui refuse les aspects esthétiques, affectifs et créatifs. Pourquoi ? Parce qu’elle ne peut tout simplement pas communiquer le phénomène auquel elle se réfère. En fin de compte, ces exhortations à la « clarté » par des phrases courtes, l’abandon des adjectifs et une prose austèrement concise sont liées au désir d’échapper au langage. Il y a une tendance malheureuse dans les sciences sociales anglo-saxonnes (et leurs multiples champs d’influence) à voir dans les ambiguïtés et la nature construite du langage des obstacles au progrès scientifique. Ainsi, les modèles formels mathématiques, les méthodes statistiques et d’autres outils méthodologiques apparentés colonisent les sciences humaines car ils sont (naïvement) perçus comme étant plus clairs que les approches disons linguistiques. J’utiliserais moi-même toutes ces méthodes, là où elles sont pertinentes. Ma critique porte davantage sur leur tendance colonisatrice et leur incapacité à percevoir leurs propres limites. Une conception réductrice de la clarté risque d’emprisonner le travail scientifique dans un mode d’expression et de pensée unique. Cette nécessité de trouver de nouveaux langages et styles d’expression est plus évidente, je pense, si l’on s’éloigne un peu des préoccupations spécifiques à la science pour prendre en compte la conjoncture mondiale contemporaine. Historiquement, le développement de nouveaux modes d’expression a été la source d’avancées humaines importantes et de compréhension mutuelle par-delà les frontières, réelles ou imaginées. Si l’on cherche à mieux comprendre ce qui va mal aujourd’hui autour du globe – l’inégalité croissante, la dégradation environnementale, les conflits interculturels, le fléau de la violence, etc. –, alors nous devons retrouver cette diversité de moyens de communication. Le déclin de la créativité (linguistique ou autre) au sein de la sphère culturellement dominante anglo-saxonne va contribuer à réduire son influence au niveau global – si ce n’est pas déjà fait. Nous en voyons déjà les symptômes dans les formes d’automutilation politique que s’infligent le Royaume-Uni et les États-Unis. Il y a un manque cruel d’imagination dans le monde, et un des moyens les plus efficaces pour la retrouver n’est autre que l’outil fondamental du genre humain : la langue.